Carl Sorenson was born in Eau Claire, Wisconsin, to Jerry and Shelley Sorenson. The second child of four, born August 14, 6 years after his older brother Chris, the then family of four moved to Arcadia, WI just prior to Carl's first birthday. When he was 3 years old, his sister, Catherine, was born. At 5, his younger brother, Collin was born in the spring. Both of Carl's parents promoted musicality in the family, each child taking piano lessons and joining various concert bands and choirs from middle school to high school. Carl took piano lessons from kindergarten to 6th grade; learned to play the Trombone in 5th grade; Bass Guitar in 7th grade; and French Horn his Sophomore year of high school. 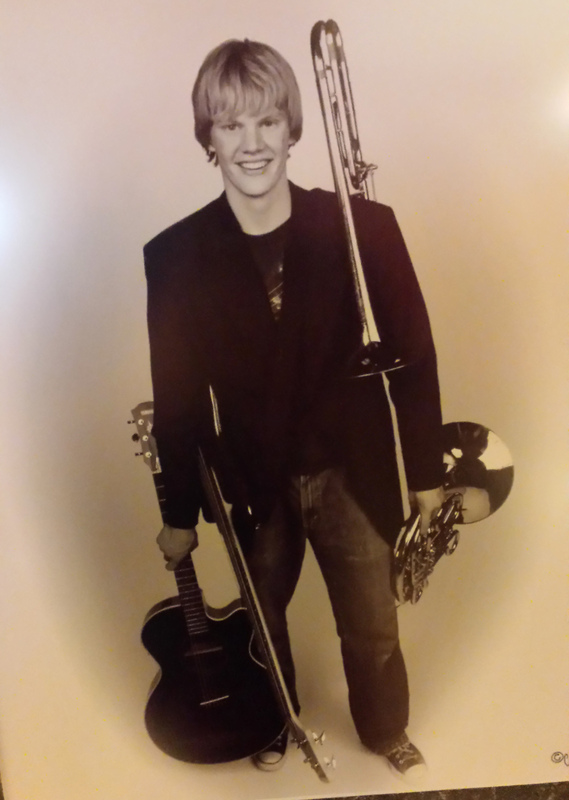 He was also part of jazz band show choir and various honors bands and choirs. After High School, Carl attended Luther College in Decorah, IA. There he studied music composition under Brooke Joyce and Steve Smith, and was a part of the concert choirs for 4 years and a capella groups for two years. It was there that he met his now wife, Mara, who attended Luther to become a music educator. After graduating from Luther, the two moved to Sauk Rapids, MN, suburb of St. Cloud, MN. where Mara was an elementary music teacher and Carl's employment varied from corporate info processing to signaling airplanes on the tarmac. They were engaged not long after moving to Sauk Rapids, and after a year there, they each had new doors opened to them: Carl to pursue his masters in composition at Columbia College of Chicago, and Mara to teach in a position covering 3 different elementary school buildings in Owatonna, MN. The two were married in the summer of 2014, then rose to the challenge of a distance relationship, visiting each other when they could. Currently, Carl resides with family members in the suburbs of Chicago as he continues to study and gain his Masters in Fine Arts in Music for the Screen at Columba College Chicago. Carl wrapped up his education with a month long internship in Los Angeles, observing composers Mike Raznick, and David Wesley. After a recording session with LA studio musicians, Carl and Mara moved to Northfield, MN. They live with their cat, Freija (Fray-uh), and dog, Pike (Pee-kuh). He is looking forward to the upcoming semester, and the adventures in the future to come.